Also called Brown, Common, House, or Sewer Rat. Large, robust with an adult reaching an average size of 7-10" (19-25cm) head and body, tail 6-81/2" (15-22cm), they weigh about 11oz (300gm). They have a life span of 9-12 months, but have a maximum of 7 litters in a year with about 8-12 young being born each time. Edible Baits: Loose Cereal Baits, Pellets, Wax blocks and Soft Wax Bait. Loose cereal baits by large are probably better accepted. However, in some situations the use of pellets or blocks can be advantageous. These baits are favoured by the food industry, with less risk of contamination. Liquid Baits: Useful in dry conditions or where water supply can by restricted. 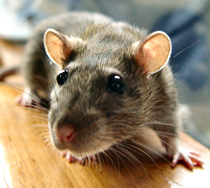 rats generally require freely available water, but mice will drink water if it is available. Liquid baits should only be used where access is severely restricted. Contact Rodenticides: Contact dusts are laid on rodent runs. 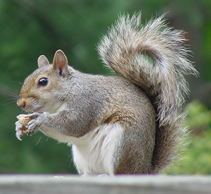 As a rodent passes over the dust, some of it is deposited on the fur which is ingested during grooming. Small, slender weighing about 1/2oz (15gm), they are 21/2-31/2" (6-9cm) head and body, tail 3-4" (71/2-10cm) They have a life span of 9-12 months, but have a maximum of 8 litters in a year with about 5-6 young being born each time. 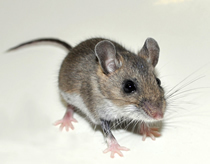 Mouse Tubes: Tubes are placed on rodent runs. As the mice run through the tube they consequently collect a dose of rodenticide which they subsequently ingest during grooming. They frequently enter domestic roof spaces. Once inside they chew woodwork, strip insulation from electrical wiring and water pipes, tear up fibreglass insulation and occasionally, drown in water tanks. Physically blocking gaps and entry holes with wire mesh is the best answer. Various types of trap are available as is a poison based on warfarin, but only to professional technicians.